After the 9.0 -update my Bluetooth stopped workin. Had to pair a device again but the phone refuses to connect automaticly. I have BlueTooth problems too. Specifically for BT devices that use BLE (BlueTooth Low Energy) mode. When I try to connect to the device the BT service is switched off and will be switched on again after a few seconds. This is reflected by the BT status in the top-down menu. However a BT head set using BT Classic services works. Is that the same behaviour with your device? I have similar problems, I use Voyager 5220 Headset and lost it completely. And when I turn it on the Plant Hub won't even start as it should. I have the same issue, after 9.0 upgrade the phone refuses to connect to Garmin smartwatch rendering it useless for now. Any idea if Nokia even aware of this issues? I contacted Nokia support via chat. They where not really interested in the details I told them. Only pre-formed answers. And the usual delete-cache-system-reset answer. As that did not help, they told me they will inform developers. No ticket number no other questions. Nothing. When I ask how this will proceed I received the pre-formed message that they can't tell anything. They really show you that they care as much as /dev/null. As I need proper BT functionality for work I will turn in the device the next days. Having a bad customer support and breaking the customers devices by software update is a bad combination and not suitable for professional work. Judging by the amount of posts under this thread it doesn't look like a widespread problem, but if you google it, there are many people complaining about bluetooth issues after 9.0 upgrade. For me, personally, bluetooth is vital part of my smartphone, use ranges from smartwatch, stereo controls to printer. It's clearly a softwares issue, since beforehand it worked just fine, I really hope they'll address this ASAP. I doubt it there will be a fast response. It will take several weeks for a new roll out. And the way Nokia seems to handle customer feedback they might not notice this BLE problem as a real issue. As a consequence chances are good that the next update will not fix it. Colleague had the same problem of a broken BT with a Huawei after an update. Even after a couple of updates it was never addressed. Same poor experience with their support as I had with Nokia's. I thing I'll change to another phone. This went to **** after the update! Same here, After the update the phone doesn't connect to my Garmin Fenix 3 HR. It does connect to the Volvo audio system, but the sound isn't transmitted through the handsfree connection. Untill now I was quitte pleased with the performance of the phone, however a proper connection with the Handsfree system is essential. I have a similar issue here. When I try to pair my phone to my car audio I get the message that the Bluetooth function keeps crashing and then it shuts down. Rendering this phone useless in the car. Bluetooth is not connecting automatically with paired devices. I found the answer here https://community.phones.nokia.com/discussion/6102/bluetooth-connectivity-issues. Goto Settings and reset ALL your Wireless & Bluetooth settings and then restart. I tried the reset but then I couldn't connect to any devices. The fix for me was to do a factory reset on my phone. Bluetoot issue is present on several newer models running latest patch with Pie, try to hard reset or wait until fix come in january! Hi, Initially I'd lot of issues with my Toyota's Touch & Go. Then I configured Smart Lock pairing with my car's Touch & go for unlocking phone and until now it works flawlessly. I Hope this helps somebody. I got a fix which solved the Bluetooth issue for my Nokia 7 plus. I’m putting the link below, hope it fixes your issue as well. Reset app preferences. That worked for my nokia 7 plus/ android 9. Without that, both my location and bluetooth were not working. I had this problem with Nokia 3.1 Plus paring with Plantronics Voyager Edge that has worked with a Nokia Lumia 830 for a while. Nokia 3.1 Plus can discover other Bluetooth devices, but not PLT_Edge while Lumia 830 can discover it effortlessly. I eventually found out that I had to hold the call control button of PLT_Edge to force it to enter its pairing mode in order to allow Nokia 3.1 Plus to discover it. It is all good now. 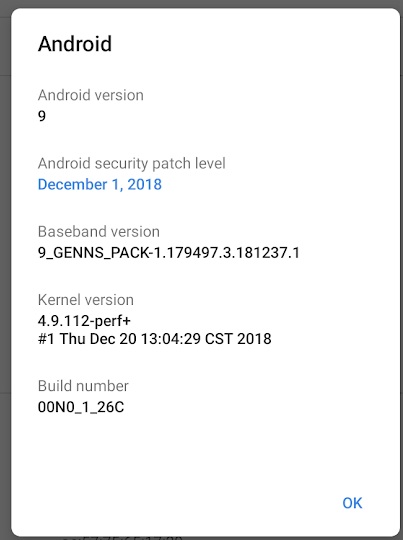 Nokia 3.1 Plus runs Android 9 (Pie) released in December 2019. Currently no problems with bluetooth connections applies to my jabra speakerphone and also my PC and TV edifier boxes. But as you say, never say never. > Reset app preferences. That worked for my nokia 7 plus/ android 9.